At our Washington lab, I’ve been chatting with the hive minds here (and over pizza!) about how excited I am about GANs (Generative Adversarial Networks) or challenger cup for AI. I’m sure you likely get message overload with articles about AI, machine learning and deep learning. And like me, you’ll be more than familiar with the application of machine learning in your enterprise, from pro-active help and contact resolution to lifetime-value-based personalised offers. But the problem with algorithms is they can be quite narrow-minded! Below is my design attempt (albeit, not the best) to illustrate the difference when asking AI to ‘show Anthony Justin Bieber’. GANs (the brainchild of the super awesome Ian Goodfellow) recognise the flaws of machines trying to be humanistic so it applies a battle of the minds. Basically a think-tank for AI models to collaborate and learn from each other. With this the possibilities are truly jaw-dropping. Of course Google and Deepmind are applying this to self-driving cars to train deep-learning algorithms to be able to recognise objects around them without having to go out on the road. Algorithm 1 (let’s call him Bob) has a data set containing millions of assets and elements that depict road objects and context, algorithm 2 (called Kim) has the same data set. Bob’s the creative one and his job is generating variations on the assets and elements of the road objects, adding what he thinks is the appropriate context and action to each one. He’s drawn a picture of a traffic light with loads of colours behind a car and adds the action ‘caution stop’. Kim’s the challenging one, and her job is to look at everything Bob’s creating and critique it (known as the discriminator algorithm). 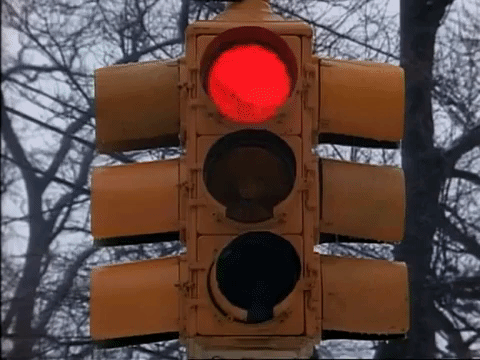 Her feedback to Bob’s action was ‘Bob, that traffic light is behind us now and you haven’t shown the signal colour nor an action that makes sense – but here’s what I’ve seen that matches what you’re saying’. By taking this approach, AI is able to apply imaginative thinking – something that models need in order to vertically evolve with minimal human intervention. This begins to enable AI assistance to provide truly accurate relevancy over retrospective recommendation (the latter of which is not always a good thing). GANs are just one example of the innovations we enjoy discussing, and we obsess – in a healthy way, of course 🙂 – over the applications to business use cases, which are truly exciting. Hey, this could mean that next offer through DoubleClick won’t just be bespoke for people I directly attribute to a retrospective set of behaviours. Instead, my dynamic duo, Bob and Kim, will play challenge cup to tell DoubleClick that whilst all that’s true, it looks like there’s an opportunity, because of a last minute competitor offer, and so Kim persuades Bob to up his bid and double the discount because it’ll pay off in the long term. It might sound obvious but this is maturing machine learning, to be reassuringly intelligent, and be left to evolve rather than degrade without supervision. And you might have or are currently cycling through the emotional responses to the ‘Data Science Fixers’ – those promising to provide that silver bullet to switch on machine learning and bring in AI to drive immediate ROI. The reality is that – and you already know it – enterprises are maturing so fast and want the freedom to build on their own models, and want to avoid the trap of switching on semi-bespoke algorithms in various cloud platforms. With the exciting emergence of GANs and a real definition of AI and deep-learning, rooted in speeding up delivery of your business use cases, I’m seeing CTOs and CMOs co-deciding to build it now and recognising that the right tech currently exists to build at scale without masses of technical debt. I’m seeing CTOs and CMOs co-deciding to build it now and recognizing that the right tech currently exists to build at scale without masses of technical debt. Okay, Bob and Kim – I get it. Maybe I’m Bob, thinking that I’m nailing it, but I could do with some moral support to keep me honest. ‘I’m not paying you to store my data, again. Model it in a black box UI and pay again to get it back!’ – No chance yet right? These tech companies are all the same! ‘I’ve got plenty of smarts! We’re using R, Spark, Python – all you’ve got is that with a logo on top’ – Next session Doctor! Note: I spoke at this year’s Adobe Summit in London, alongside Rob McLaughlin (Head of Digital Analytics at Sky), about AI Assisted Customer Analytics and what it really means. It was a group therapy session (joking, of course) as we’re both intent on ‘act-now’ data science rather than spending months with our head in the clouds. Click here for more info on that breakout session.